We the indigenous people of Biafra (IPOB) and it's leadership worldwide under the command and leadership of Mazi Nnamdi Kanu condemn the deceptive and provocative use of stage managed parade of 'criminals' as part of a very cheap tactless propaganda by the clueless Buhari led administration to blackmail the most peaceful mass movement on earth. Nigerian Government and their obviously unintelligent Police command in Awka Anambra State are so daft that they think that using our revered insignia and hallowed flag in their stupid mock parade, of those they termed armed robbers and cultists, will deter us from pursuing our legitimate and nonviolent agitations for Biafra restoration. Only a wayward government populated by clueless individuals such as this APC government will descend as low as planting IPOB memorabilia among bullet casings to convey the impression that IPOB is now an armed group. They tried this gimmick and failed, so will they fail this time around also. We are aware that many more stunts are coming, all in a bid to justify the militarisation of Biafraland. The entire civilised world which Nigeria appears not to be a part of, are fully aware that IPOB is a non-violent movement with unprecedented following all over the world. This hopeless and shambolic attempt by this government to portray IPOB otherwise by Hausa Fulani men of the Nigerian police should be roundly condemned by all men and women of good conscience. As a necessary precaution, we have instructed the chambers of Barrister Ifeanyi Ejiofor our lawyers, to commence legal action against Anambra State Police Command for this pathetic attempt to impugn the integrity of IPOB. The Hausa Fulani controlled Nigerian Police must know that the world is watching this latest episode in stupidity and pathetic attempt to frame IPOB. Any Nigerian with any sense of dignity must be thoroughly ashamed of what this Buhari administration is doing in their name. It is unfortunate that the Nigerian police command in Awka Anambra State that claim to have educated people in their ranks, will stage manage a crime scene simply because they have lost the argument on self determination and are seeking for ways to label IPOB as a violent organisation to justify their murderous tendencies. These clearly uneducated men of the Nigerian Police, in concert with the Nigerian Army, are not aware that IPOB members are under sacred oath not to lie or engage in any form of illegality. Both the police and army are in possession of the oath every IPOB family member must take before they are admitted into IPOB. They should refer to it and stop disgracing themselves before the world. Despite the fact that IPOB congregate in their millions during rallies, has it ever been reported that any person or persons lost their personal belongings? The answer is no, because IPOB family members cannot even steal a common purse or wallet, talkless of engaging in armed robbery. 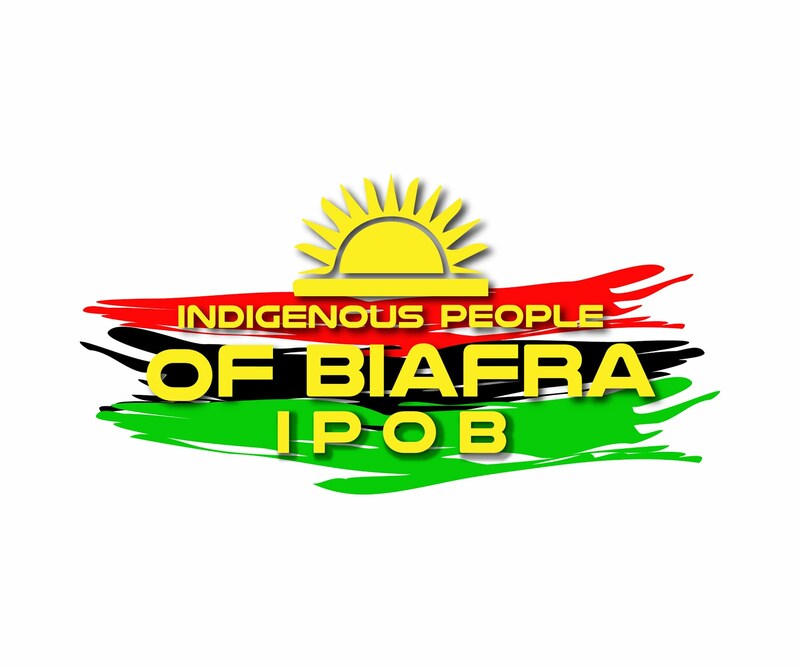 Rather it is IPOB that has been at the forefront of fighting police and army criminality and banditry all over Biafraland culminating in the 'Say No To Extortion' campaign launched by our leader a few days ago. We are well aware that Nigeria security operatives and some politicians in Anambra State are actively recruiting non Biafrans with IPOB paraphernalia to be used to wreak havoc on unsuspecting populations with the view to tarnish the squeaky clean image of IPOB. Only gullible Nigerians can be deceived with such kindergarten antics. People are more reasonable and wiser now and cannot be deceived so easily by such amateurish display by the police. What made Buhari's to think that they would succeed this time around when they failed so miserably with their previous concoctions like the killing of 5 Hausa men in a forest in Okigwe by IPOB. We IPOB family under the command of Mazi Nnamdi Kanu have conducted 298 peaceful protests and rallies around the world without a single recorded incident of violence or destruction to property. Instead it is the Nigerian Army and Police that have specialised in killing and abduction of IPOB members. Despite all these criminal provocations, IPOB has remained peaceful and never retaliated. We shall maintain our peaceful nonviolent stance and will not be provoked into armed conflict by this uncivilised and barbaric regime of Buhari. We keep wondering why Nigeria Government and her security operatives would be fabricating lies and accusing the most peaceful mass movement in the world of carrying arms without proof. This latest show of shame is one propaganda too many and we will not rest until those involved in this despicable criminal act within the Nigerian Police is brought to book. Buhari has turned out to be a worse dictator than Abacha. Nigerian Police and Nigeria Government at large led by Major General Muhammadu Buhari are peddling fake stories, lies and propaganda to dent the image of IPOB under Mazi Nnamdi Kanu, but they cannot succeed with their predictable crude third world approach. We hereby advise the hapless and lying Nigerian Government and her security operatives to come up with a more believable storyline. Currently, these methods they are using cannot yield the right results for them. We are laughing at these individuals and politicians in Aso Rock because they are amateurs and no match for IPOB. We are therefore, urging our people to be more vigilant and cautious because soon they will come out with a different and new fake story, cheap propaganda and lies against the peaceful and nonviolent family members of IPOB under Mazi Nnamdi Kanu. The more they fabricate their lies against IPOB, the more we expose them for the liars they are.